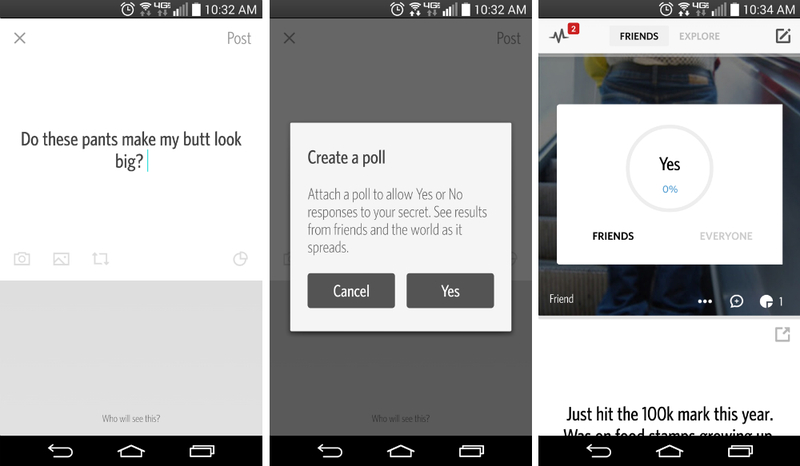 A new update for Secret is available, one which will have you now answering poll questions inside of your feed. In the update, once you start crafting a new secret to share with all of your friends, you can add in a yes or no poll, which could make things very interesting moving forward. In addition to the poll, users can now add photos to their secrets from Flickr, which make your secrets stand out from the rest. To top it all off, Secret has added in plenty of bug fixes, as well as “improved measure” for your safety. Go grab the update and start sharing those secrets.